Ever found yourself at an event and found it missing something? On 27 May, 2009 by Ciara Feely	Comments (0), leave your own! It is estimated that there are 22,000 events held in Ireland every year! Great numbers. But how many of them fulfilled their purpose or even had one to start out with??? 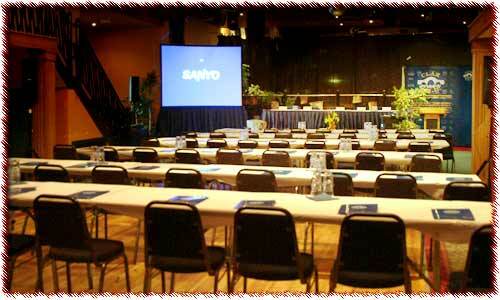 Most events held in Ireland are arranged by someone who is not a professional conference organiser – they end up having to do it, but it is not their main job. It is a massive task to pull of correctly, so don’t try it alone, do get help. Found this photo when I googled Conference Photos – figured they deserved the plug seeing as their website came up on page one. Delegates wondering why they came, it didn’t meet expectations. The venue was too hard to find and directions were not clear enough. The room was too hot or not enough ventilation and no air conditioning! The room was not set up properly and you couldn’t see the presentation properly. The service was terrible and the venue couldn’t even serve a decent cup of coffee! They all sound like basic enough elements to get right, but you would be surprised how often they are not.